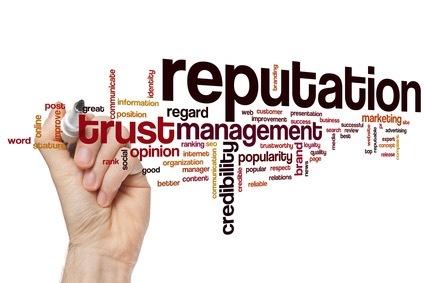 The concept of reputation, which can be defined as how much stakeholders trust organizations, is often difficult to measure. It’s an intangible, an idea which is often best understood at the most inappropriate time (in other words, during a crisis). In Abu Dhabi last week news broke about a merger between two government-owned investment vehicles. The deal between Mubadala and IPIC would create a combined fund worth US$135 billion according to Reuters. At a time of budget tightening due to low oil prices, the merger promises to bring about significant cost savings according to media reports. Reuters had another interesting take on the merger, which I’ll copy from the article. IPIC is also in the midst of a row with 1MDB. The Abu Dhabi fund has asked a London court to arbitrate in a dispute with the Malaysian state fund over a debt restructuring in which IPIC is claiming about $6.5 billion. While unlikely to impact these proceedings, the sovereign wealth fund analyst said the scandal had undermined IPIC’s reputation and so a tie-up with Mubadala, which is considered one of the better-run state investment funds in the region, would be beneficial. The analyst that Reuters spoke to argued that IPIC’s reputation was hit by the issue in Malaysia. In addition, the departure of its previous CEO and dealings in its investments such as Arabtec have also contributed to reputation all issues. In contrast, Mubadala has a strong brand, helped in part to the leadership of its management and financial transparency. It’s not only communicators who need to understand that every action will impact organizational reputation (leaders of listed companies know all too well what public sentiment can do to the stock price, and their jobs). The Mubadala-IPIC merger is an example of how much both good and not so good reputations can impact the business. This entry was posted in Culture, Public Relations, United Arab Emirates and tagged Abu Dhabi, business merger, business operations, IPIC, Mubadala, reputation management, Reuters, stakeholder engagement, stakeholder management by alexofarabia. Bookmark the permalink.